Not in the Kansas City area? Visit www.HitchFit.com for Online Personal Training programs available worldwide. 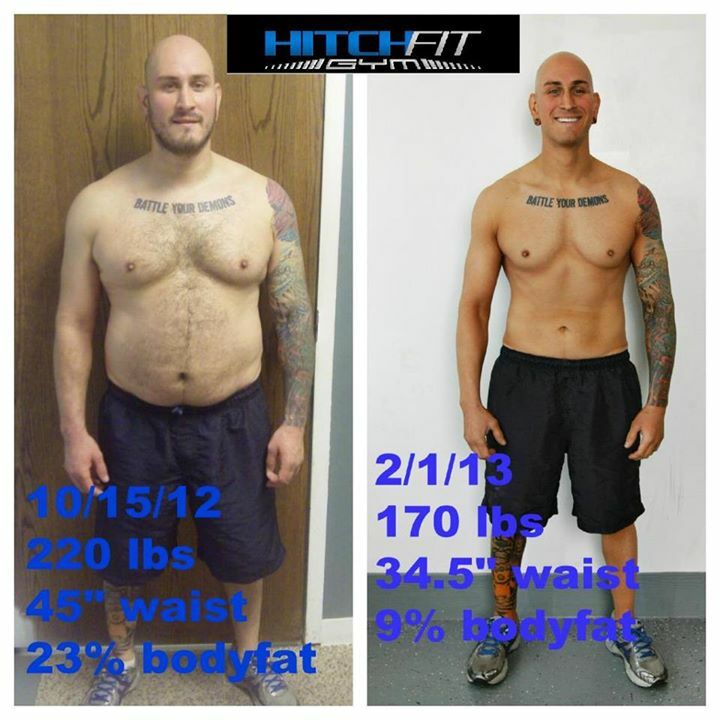 Clay shed 50 pounds at Hitch Fit Personal Training Gym! “So… Testimonial time, what to write? I guess I should start by saying that the whole reason I made the decision to do my transformation with HitchFit is because my wife Heather Morales had went through the transformation program. She is my inspiration and motivation. She was also a life saver helping me prepare my food daily throughout the program. I saw how great she looked during her weight loss and I’m not going to lie it bummed me out about myself a little bit seeing her getting buff. I wish that I would’ve been on the same page as her to help her out when she was HitchFitting it up instead of riding the couch lifting cans of beer. At any rate it’s never too late! Not in Kansas City? Visit www.HitchFit.com for information on Online Personal Training programs available worldwide.